Category Archives: "California Divorce Attorneys"
How Do I Terminate Spousal Support if My Spouse Has Remarried in Orange County? How Do I Terminate A Long Term Spousal Support Order in California?, I want to Terminate Spousal Support if My Spouse Has Remarried, My EX just remarried how do i stop the spousal support in California?, orange county alimony attorney, Orange County California Divorce Alimony Laws, Orange County California Family Law and Spousal Support Attorneys, Orange County Spousal Support FAQ, Spousal Support, Spousal Support Modifications and Termination, When Can a Spousal Support Order be terminated?, When Can I Modify My Orange County California Spousal Support Order?, Why Does a New Marriage or Registered Domestic Partnership Terminate Spousal Support in California? 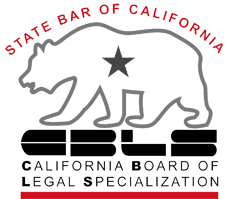 If My Spouse Lives Outside CA How Do I Serve Divorce Petition for my California dissolution of marriage? When you decide to file for divorce in California, your spouse or partner has a legal right to be made aware of the divorce proceedings, and you cannot get a divorce without making a reasonable attempt to let the other party know. There are several ways you can go about informing your spouse or partner of the action against them; it is called serving divorce papers. The method of service that you choose can depend on several factors, including your current relationship with your partner or spouse, his or her whereabouts, or whether or not you know where your spouse or partner currently lives. How Do I File for Divorce if My OC California Spouse is Missing?, I want to divorce my spouse in OC California, Orange County CA Divorce Process FAQ, Service of Divorce Papers in OC California, Serving California Divorce Papers on a Spouse I Cannot Locate, Serving Divorce Papers on a Spouse I Cannot Locate, Serving Divorce Papers on a Spouse who Lives Outside of California, What are my options for serving the other party with a copy of the California divorce petition, What if My Wife Defaults in a Divorce in OC California?, Where Do I File my OC CA Divorce?, Which OC California divorce Papers Need to be Served? Understanding the divorce process can be difficult if you do not have a background in law, and making a mistake can be costly. Divorce affects almost every aspect of your life, from your family and friends to your finances and sometimes, your career. Whether you and your spouse know that you are getting a divorce or you decided on your own, the first step in the divorce process is serving your divorce petition on your spouse. At this point, your spouse will need to find his or her own legal representation and file a response. You and your divorce attorney can work on the next steps from your end even if your spouse has not responded. Divorce Process Facts and Tips for OC California, How Do You Get Divorced in Orange County California, How Long Can You Take to File Response Papers to a divorce, How to Move Forward in a California Divorce After Serving Your Spouse, So You Filed and Served Your Divorce Petition for Your California Divorce Now What?, What Needs to be Done in a California Divorce?, What Needs to be Done in an OC California Divorce? Is it Wise, Getting a Divorce in OC California Without an Attorney? Getting a Divorce in Orange County California Without an Attorney, is it wise? Is it Wise, Getting a Divorce in OC California Without an Attorney? As with most legal situations, it is always advisable to consult with a qualified divorce attorney during your divorce at the very least. However, depending on how you decide to handle your divorce following your initial consultation, you may be perfectly fine without an attorney, or with very little contact with one. Are There Benefits to Filing for Divorce First in California? FAQ: I live in Orange County, California Are There Benefits to Filing for Divorce First? Are There Benefits to Filing for Divorce First in California? There are some benefits in California to being the spouse who files for divorce first, but due to the state’s no-fault divorce law, there are no serious drawbacks to being the one who is served with divorce papers.